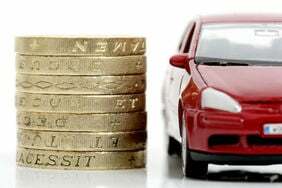 If you're looking for car insurance in Northern Ireland, you might already be aware that you could be paying more than in the rest of the UK. In July 2017 we published the latest Confused.com car insurance price index. This shows the average comprehensive policy price for motorists in Northern Ireland is £1,054. Car insurance is typically higher in NI than other regions in the UK. This is possibly because there are fewer insurers in the market compared to mainland UK. This brings competition down – resulting in higher prices. 1. Northern Ireland has a relatively young population – young drivers are usually seen as ‘high risk’ and more likely to be involved in an accident. 2. The majority of roads are single-carriageway or rural roads. 3. 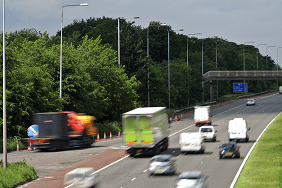 Drivers travel greater distances compared to the rest of the UK. Faced with high insurance costs, it makes more sense than ever to shop around and compare a range of quotes. That's where we can help. What else should I know about car insurance in Northern Ireland? Other than the being more expensive than other areas of the UK, car insurance in in Northern Ireland is largely the same as in England, Scotland or Wales. Do you live in a bordering county and it's a trip you regularly make? Or maybe you just happen to cross between NI and the Republic occasionally? Either way, you'll want to check whether your chosen policy covers you to drive there. Some insurers may class the Republic of Ireland as abroad. If that's the case, you may need to look at taking out European car insurance separately for longer trips. Or just check with your prospective insurer how long your standard policy covers you for. Some insurers offer cover to drive in Europe for up to 30 days. With ferries from England and Scotland regularly travelling to the ports of Larne and Belfast, it's pretty convenient to visit other parts of the UK. However, if you plan to use one regularly or even just as a once-off, you'll want to check what level of cover the policy you're looking at includes. Make sure you're protected should you have an accident while you're boarding, on-board or disembarking. Neither of these points should prevent you from finding insurance. But if they affect you, you'll want to make sure any policy you're looking at does what you need it to. If you're in any doubt, speak to the insurer or check the policy documents before buying. How can I cut the cost of insurance? Don’t renew your existing policy: Shop around using our car insurance comparison service, and you’ll usually find a cheaper deal. Add an experienced driver as your named driver on the policy: This could bring costs down if you’re spending less time behind the wheel. But don’t lie! If the information you give isn’t true, you risk a fine. It could also affect your chances of getting car insurance in the future. Black box insurance: This type of insurance can sometimes save you money. It monitors your driving skills to see if you’re a safe driver and less of a risk. It can often be a good starting point for new or inexperienced drivers. No-claims bonus: Over time, if you drive safely, your premiums will benefit from lower rates. We were the UK’s first insurance comparison site. Consequently, we have years of experience in saving customers money. We compare a range of motoring products and services from trusted brands. All prices and different levels of cover are clearly shown when you get your quote – just choose the best deal for you.